Digital risk trading insurtech start-up Akinova has secured an investment boost from reinsurance firm Hiscox Re and the venture arm of Japanese insurance holding company MS&AD. Akinova promises a digital platform for transfer and trading insurance and reinsurance risks and is looking to launch with an industry-loss warranty (ILW) type of product. The firm has secured support from high-profile names in the industry and the addition of Hiscox and MS&AD as backers will help it to create products the industry actually wants to trade. Adam Szakmary (Director of Underwriting Bermuda, Hiscox Re & ILS) commented, “In a rapidly expanding market, it’s crucial that we partner with organisations who are on the cutting edge of innovation. We were attracted to AkinovA’s ethos of proving a simpler and better approach to an electronic marketplace. They understand the importance of encouraging marketplace liquidity, and their strong focus on cyber risk transfer and trading was particularly appealing to us. 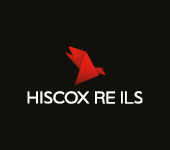 At Hiscox, we pride ourselves on being collaborative while challenging the status quo. Jon Soberg, (CEO, MS&AD Ventures Inc) added, “MS&AD sees cyber as a key area of focus as cyber is a global risk which impacts trillions of dollars of insured assets already through both affirmative and silent cyber attacks, exacerbated by the interconnected world we live in. AkinovA has been working alongside market participants including risk cedents, brokers, re/insurers, regulators, data, index and analytics providers, and capital market (ILS) participants, to ensure its marketplace is fit for purpose. The group has recently shifted its focus towards cyber risks, having begun planning a catastrophe ILW equivalent product and market for launch. “Without an electronic marketplace, the fast growing and evolving Cyber insurance market will face greater challenges in effectively servicing the $Tns worth of global cyber risk,” the company explains. It will be interesting to see what AkinovA launches with and how these new partners can help it to succeed in what is becoming a competitive marketplace.